According to the World Health Organization (WHO), cancer cases are expected to surge 57% worldwide in the next 20 years. This rising incidence of cancer is brought about, in part, because of our growing and aging populations. This is especially true in Cleveland where our population is aging and our cancer rates are higher than average. The Case Comprehensive Cancer Center (CCCC) - comprised of researchers and physicians from Case Western Reserve University, Cleveland Clinic and University Hospitals - is one of only 41 National Cancer Institute-designated Comprehensive Cancer Centers in the nation. Hear from CCC leaders about the innovation in cancer care being pioneered here in Cleveland, from lifestyle interventions that prevent cancer, to new tools for detecting it earlier and the continued pursuit of more personalized, targeted treatment options. 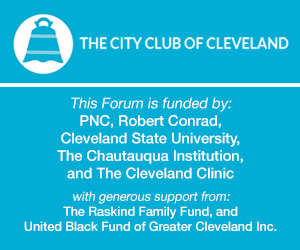 This conversation is moderated by WCPN health reporter/producer Sarah Jane Tribble.